Do you know what healthy gums look like? Would you know if they were “sick”? “Sick” gums bleed. They’re swollen, inflamed and maybe even infected. They pull away from your teeth, causing your teeth to loosen and perhaps fall out. They recede, exposing more of your tooth root. You really need to take extra special care to keep them well! Caring for your gums with healthy home habits lowers the risk of gum disease. One of the ways to keep them well is through periodic dental hygiene visits at A Better Smile. Our mission is to help you have, and keep, the best-looking and most functional teeth. So be proactive and give us a call to schedule your periodic dental hygiene appointment today! 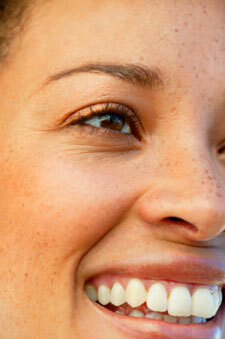 Maintain Healthy Gums for More Than Just Your Teeth! So you can see that the bacteria in your mouth can cause plenty of problems, problems that can be avoided if you practice good daily oral hygiene. Brush your teeth correctly, at least twice a day and after eating sugary or sticky foods, using a fluoride toothpaste. Floss correctly at least once a day, preferably before bed, to remove the plaque your toothbrush can’t reach. Use a good antimicrobial mouth rinse that is designed to control plaque. Visit A Better Smile for your regular checkups and cleanings. Staying on top of your mouth, teeth and gum care is the best way to keep your gums and teeth healthy. How long has it been since your last check up? If you can’t remember, then it’s probably way too long! Call us today to schedule an appointment. We can’t wait to see you!